I’ve been on a big salsa kick (Chiltomate anyone?) 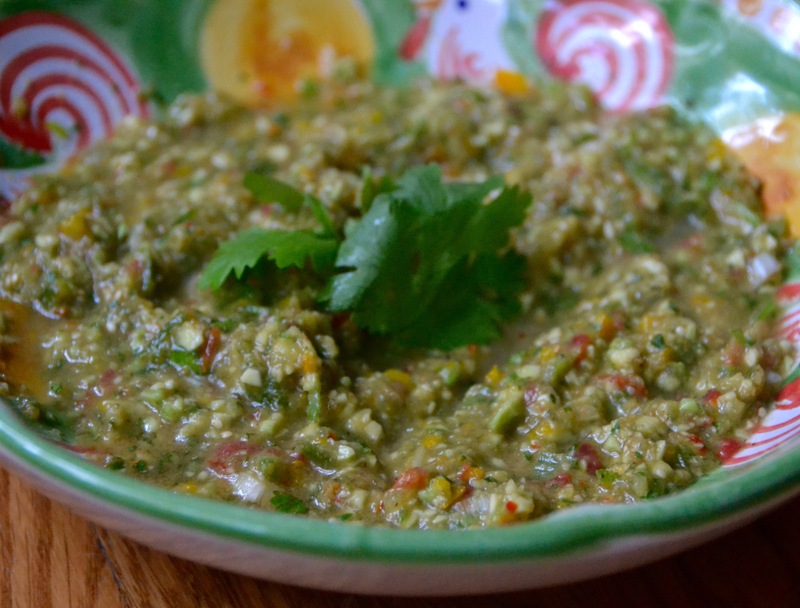 and I think of this one as if guacamole and salsa verde had a baby! 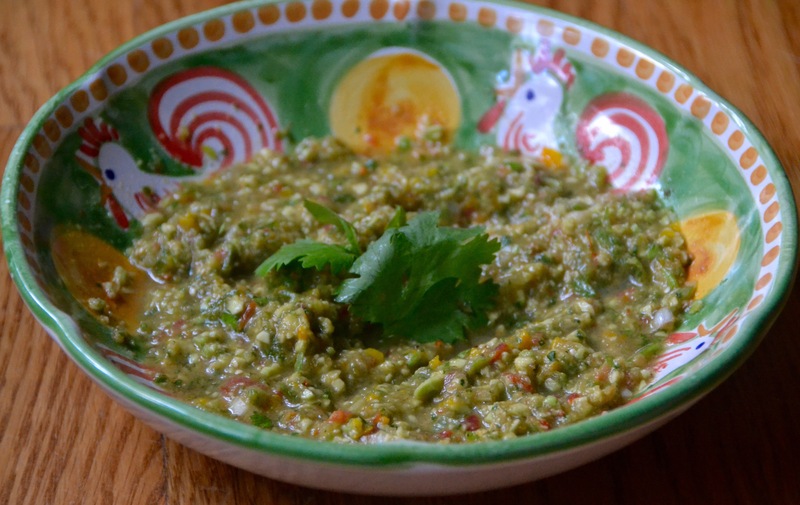 The smooth, creamy avocados balance the tomatillos’ acidity to make a delicious salsa and topping for grilled meat. I found that it tastes best the day it’s made, but the acidity from the tomatillos will keep it from discoloring as quickly as most guacamoles so you can store it for a few days in the fridge. Let it come to room temperature before you serve it.